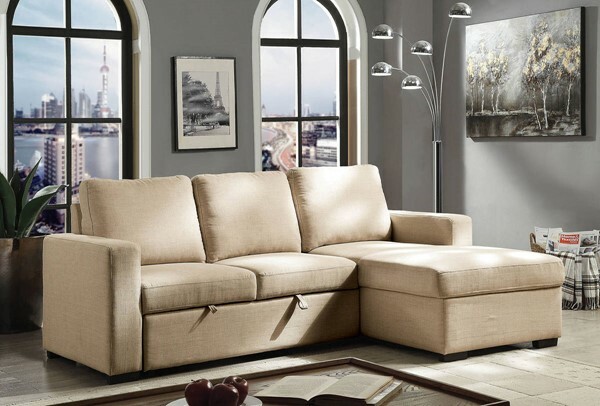 Refine the statement your living room makes with this classy sectional set! A prominent welt trim traces the edges of the plush cushions for a sleek look while the long track arms provide a perfect place to prop your elbows. Sink back against the plush back cushions and stretch out a top the lengthy chaise or when you truly want to unwind pull out the hidden sleeper beneath the loveseat.